Nanoparticles and Cosmetics- What’s the Link??? Are you curious about how we can artificially induce rainfall??? How can we bring rain to an area where it usually doesn’t rains or an area which experiences less rainfall??? Well, read this article and find out. I hope you’ll find it interesting and informative. 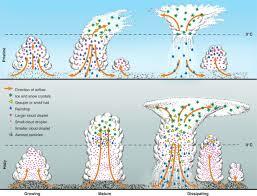 Before going towards cloud seeding you need to know that how rain is formed. I’ll explain it in as easy words as possible. First of all, air currents enter water vapors into the atmosphere. Then, these water vapors condense onto small particles that are known cloud condensation nuclei (CCN). These particles are less than a micron (10^-6) in diameter. The condensation takes place just like water vapors condense on a sauce pan’s lid when water is boiled in it. In the same way, water vapors condense when they collide with CCN. Now, this is the step at which cloud seeding kicks in. After this step the raindrop is formed and it starts to grow in the size. When the droplet gains enough weight to exert force downwards and to cancel the upward thrusting force (More weight will overcome the upthrusting force), the raindrop falls to the ground. Now that you know the whole process, you can easily understand how we can artificially induce rain. Sometimes it doesn’t rains in an area just because there are no CCN particles for the water vapors to condense. Or it rains less in an area because of less CCN particles in the atmosphere. What we do in cloud seeding is that we artificially introduce CCN in the atmosphere. 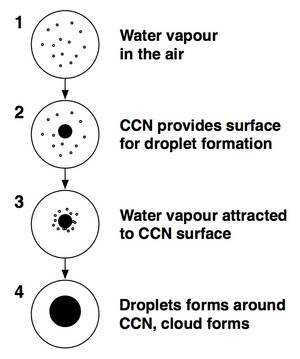 Once CCN particles are introduced, the water vapors begin to condense on them and the water droplet forms. After growing to its size, the rain drops fall to the ground as rain. CCN particles can be silver iodide particles, potassium chloride particles, etc. This picture perfectly represents the process of cloud seeding. And yes even atmospheric pollutants, such as aerosols, can act as CCN. But if there are more aerosols than a certain threshold limit then they will stop clouds from raining and the cloud will continue to grow until it reaches a certain temperature, at which rainfall occurs. Now, this can affect badly, because at first there will be drought and afterwards there will be a very heavy rainfall (as the overly grown and high energy containing cloud will rain), which may result in flood. If you want to know more about this effect click here. 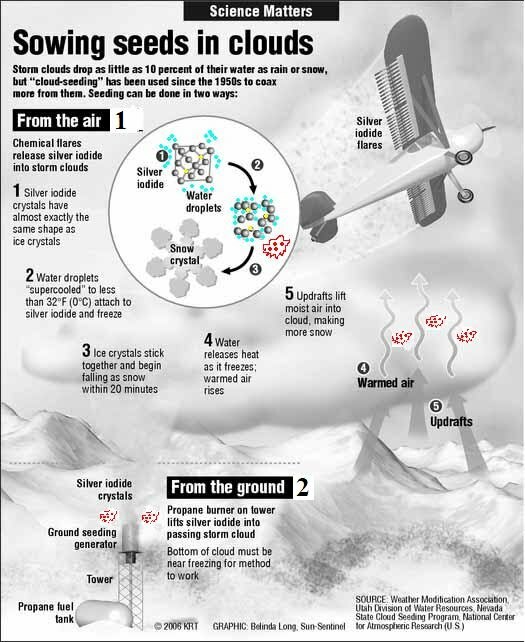 Is cloud seeding a new terminology for you? Or, did you know it before? Even if you know more information about this topic, do tell me.